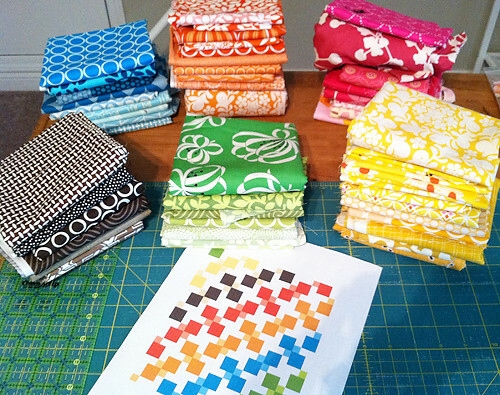 I spent a bit of time this morning pulling fabrics for a new quilt. I think fabric selection might be my favorite part of sewing. Excuse my camera phone photo - it's all I had handy and my sewing room is all the way up on the third floor of the house. LOTS of stairs!